Here in Florida, wedding season is quickly approaching, as brides and grooms flock to the beaches, resorts, and other major attractions to live out their dream and exchange their vows in the sunshine and warmth that characterize our state. Because we have so many weddings in and around our area, Carroll Marshall Insurance has taken notice of what these couples (and their families) focus on most when planning the big day. While thousands are easily spent on photographers, custom cakes, and designer attire, little thought is given to what happens if anything goes wrong. That’s where wedding insurance comes in. The cake doesn’t show up? The venue goes out of business before the wedding. The photographer has a family emergency or loss. These are just a handful of the many things that can (and do) go wrong when planning a big event such as a wedding, yet many people fail to plan for these things and are left with no course of action (and an empty wallet) in the end. Wedding insurance offers some peace of mind to the process of planning your big day, but is frequently overlooked. Why? Because most don’t understand what it covers, and how it works. Essentially, a wedding insurance policy varies in size and type, much like any other type of coverage (home, life, auto, etc.). You typically are encouraged to insure your wedding for at least as much as you spend on the event, preferably a bit more. Consider this: an average couple can receive as much as $2,000 in monetary gifts alone, and if those are lost thanks to a venue disaster or theft, you’d have no way of getting compensation. By insuring your wedding for a slightly larger amount, yes, your premium might be slightly higher, but it won’t come close to what you’d lose if you didn’t have it and your gifts went up in smoke (literally). Wedding insurance covers more than just your gifts though. Most policies cover venues, photographers, videographers, caterers, the wedding attire, the rings, and more. Well, it’s actually pretty standard. Most wedding policies do not cover cancellation of a wedding due to either party changing their minds, or due to a couple backing out because of financial strain. It’s also important to take note of the details within your policy. For example, some providers cover lost wedding attire, bottom line. Others will cover attire that is destroyed, but will only cover stolen attire if it was locked in a secured trunk of a car, not in the main passenger space (where it’s visible). Knowing the details will help you better understand what you can/can’t claim, and can affect the type of policy you choose to purchase. 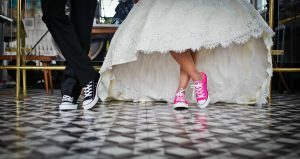 Don’t let the fear of over-stretching your budget keep you from insuring your wedding this year. Carroll Marshall Insurance isn’t a big box, hands-off insurance provider. Rather, we are a team that works closely with our clients to help you find the best policies at the best available rates. We can go through your wedding details with you, and determine how much coverage you need, what type is best, and who can offer it with a premium that fits into your budget. Give us a call for your appointment, or stop by our downtown Winter Haven office!